TEC assessed water incursion challenges relating to the interstitial monitoring lines for an extensive petroleum storage system. Our team performed upgrades and repairs allowing water monitoring of the secondary piping, including vacuum services and desiccant drying methods. Defective cable sections were identified and hydrocarbon alarms were investigated in the PermAlert system related to bad connectors. 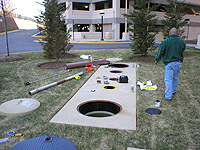 TEC is the Mid-Atlantic distributor and service contractor for PermAlert leak monitor systems with certified field technicians, PermAlert (PAL-AT) software required for system diagnosing, mapping and re-base lining of the system. Water and hydrocarbon leak sensing cable replacements. TEC installed a new 10,000-gallon gasoline fueling system at a new vehicle maintenance facility for Avis-Budget. 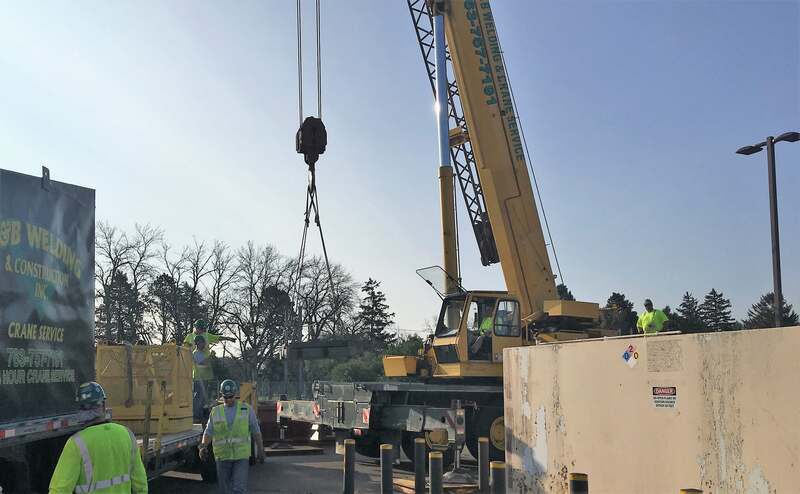 Turnkey operations for the fueling facility including excavation, dewatering, tank system installation, fueling island construction, concrete work, system testing, start up and training were conducted. The new system consisted of a double-wall fiberglass-reinforced plastic tank with double-wall flexible piping terminating inside secondary containments sumps at the tank and the dispenser. The tank system is electronically monitored for leakage as well as to monitor fuel levels and potential overflows. TEC furnished and installed one (1) new INCON probe and float, in addition to reprogramming the monitoring system for new installation. TEC is working with Weston Solutions, Inc. to replace 13 aboveground storage tanks around the country at various Air Force bases.